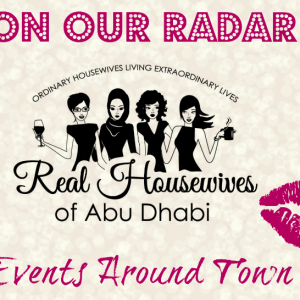 A few of the Real Housewives of Abu Dhabi met up for a Coffee and Conversation event sponsored by Bio Oil at Caffe Nero at the new Galleria Mall on Al Maryah Island. The group was welcomed to the event and introduced the first guest speaker. Dr. Desi, OB at Burjeel Hospital began by discussing benefits of Bio Oil, especially whilst pregnant, to avoid stretch marks or to reduce the stretch marks some may already have. The group then heard from Bio Oil representative, Mr. Sultan, who discussed the all natural ingredients in the product. Before the presentation Mr. Sultan had given everyone a few drops of Bio Oil to put on their hand so that we could see that it leaves skin soft and not greasy as one might expect from oil. He discussed the importance of keeping skin moisturized in our environment (heat, air conditioning) and explained the many uses for the Bio Oil, not being limited only to stretch marks. The event was very informative. After the event the speakers both made themselves available for questions and discussion. Each of the participants at the event were given Bio Oil to take home. Thank you to all the participants in today’s event. A special big Thank You to the hardworking staff at Caffe Nero who did an excellent job serving our ladies hot coffee and snacks.